MUSHROOMHEAD has premiered its new video for the song “Out Of My Mind" today and you can check it out right HERE. MUSHROOMHEAD will be co-headlining the 2014 SHOCKFEST Tour with INSANE CLOWN POSSE in what will likely contain the most eclectic collection of misfits in terms of fan base and artists. The SHOCKFEST Tour will make its way throughout the US this fall. 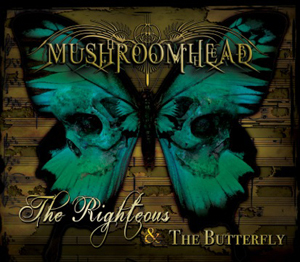 MUSHROOMHEAD released its seventh studio album, The Righteous & The Butterfly, May 13th via Megaforce Records. The album debuted at #20 on the Billboard Top 200 and # 1 on Billboard's Hard Rock Chart.